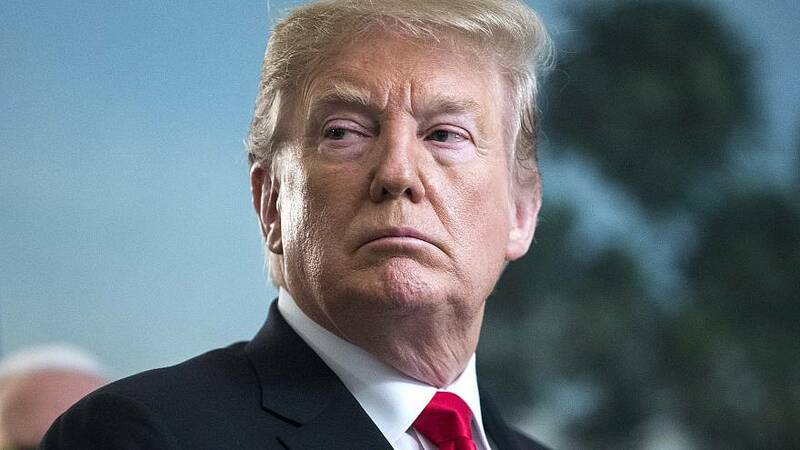 WASHINGTON — Donald Trump's lawyers — including the ones who don't appear on television but spent a career practicing federal criminal law — never seriously worried their client would be accused of a Russia conspiracy, three sources familiar with the matter told NBC News. For Martin and Jane Raskin, a husband and wife duo from Miami who came aboard Trump's legal team last April, the real threat was obstruction of justice. The Raskins, former prosecutors with decades of experience doing battle with the Justice Department, worked in coordination with constitutional lawyer Jay Sekulow, who led the Trump legal team. The Raskins dealt directly with Mueller's office, the sources said. And by the time they arrived, Mueller's prosecutors rarely asked probing questions about Russia, the sources said. "The basis of the counterintelligence investigation was allegations of Russian collusion," Sekulow told NBC News. "It became obvious to the legal team early on that Russia collusion was not a substantive issue." Instead, the special counsel's office wanted to know what was in Trump's head when he fired FBI Director James Comey, and what his intent was when he denounced the Russia investigation on Twitter, the sources say. And to find that out, Mueller's team wanted to interview Trump. Mueller made several formal requests for a sit-down, the sources said. "They wanted him to come in." one source said, speaking about the president. "It was, 'Have him there in two weeks.'" Robert Mueller's team didn't have to use the word "subpoena" — the threat was implicit, the sources said. Trump's legal team resisted without ever saying no, the sources said, and the subpoena never materialized through months of back and forth negotiations. And on Sunday, the lawyers were together in Washington, D.C., when they got the news that the nation's top law enforcement officer had decided there was no obstruction case against their client, after Mueller had opted not to make a decision on his own. Attorney General William Barr also said Mueller had found no evidence of coordination with Russia, but that didn't surprise Trump's lawyers, the sources said. "Part of our frustration is that it seems clear to us that the Mueller team has known for a really long time that there was no collusion," one source said. The drama was over obstruction. When it became clear Barr was about to release Mueller's conclusions Sunday, Trump's legal team — the Raskins, Sekulow and Rudy Giuliani — gathered in Sekulow's office near the Supreme Court. Barr quoted the Mueller report as stating that "while this report does not conclude that the President committed a crime, it also does not exonerate him" on obstruction. But Barr said he and deputy Rod Rosenstein "have concluded that the evidence developed during the Special Counsel's investigation is not sufficient to establish that the President committed an obstruction-of-justice offense." Upon hearing the news, they jubilantly high-fived one another. They had won what looked to them like a total victory. "We're very pleased," Sekulow said. "The president was vindicated." The Raskins, who declined to comment for this story, were hired around the same time as Giuliani, in a reshuffling of Trump's legal team. They replace John Dowd and Ty Cobb, who had struck a cooperative tone with Mueller's office that led to the White House and the Trump campaign turning over millions of documents. In the end, that proved a good decision, the sources said, because it allowed the Mueller prosecutors to satisfy themselves that they had turned over every rock and still found no hard evidence of conspiracy with Russia. The obstruction investigation was different, the sources said. It was based on the firing of Comey and other public acts by Trump, as well as behind-the-scenes moves recounted to Mueller's team by White House officials who were interviewed, including Don McGahn, the former White House counsel. He reportedly told Mueller of resisting Trump's orders to fire Mueller and Attorney General Jeff Sessions. At issue was whether Trump did those things with a corrupt intent to stymie the Russia investigation. "In a normal criminal case they don't ask the defendant what did you mean by that," one source said. Besides, "Trump told the world what was in his mind on a number of occasions on television." The Raskins met Mueller only once, and dealt mainly with two members of his team, James Quarles and Andrew Goldstein, the sources said. Jane Raskin, 63, had served with Mueller in the Boston U.S. Attorney's Office, decades ago. She was once Quarles's law partner. Martin, 72, knew Goldstein's father. The dealings were tense but cordial, the sources said. Even as Trump routinely denounced Mueller and his team in terms a president has never used about his own Justice Department, the relationship between Trump's lawyers and the Office of Special Counsel remained professional, the sources say. 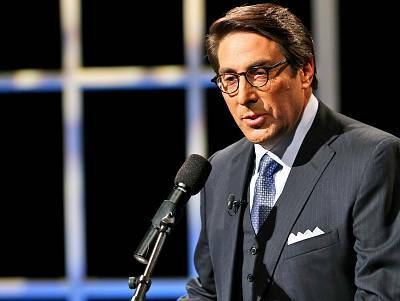 Trump's legal team submitted a bevy of legal memos to the Justice Department, Sekulow said, some of which argued that the president could not be prosecuted for obstruction of justice as a result of an official act. That would open the door to second-guessing any governmental decision, they argued. The Trump team took the position that "if you're going to try a novel theory on obstruction, you shouldn't try it on the president," the sources said. Trump's lawyers are as mystified as are many observers about why Mueller didn't make a decision about obstruction, the sources said. They theorize that there may have been disagreements within his team, or disagreements between him and others at the Justice Department. He could have made a recommendation he knew would be overruled, but that would have been reported to Congress. Trump's lawyers never wanted him to sit down with the special counsel, but they also feared litigating and losing, the sources say, because they didn't believe refusing to testify on Fifth Amendment grounds was an option for the president. But as 2019 dawned, "There did come a point. A feeling in the air. They were getting ready to be done with all of this," one source said of Mueller's team. Trump's lawyers believe Sunday's final result "could not have been better," two sources said. But the Raskins remain in Trump's employ. Mueller is done, but the investigations are not over.